Before America had public parks or botanical gardens, it had cemeteries. In the Victorian era, great care was put into the landscaping and design of these public spaces. These historic cemeteries often feature elaborate entrance gates, hidden ponds, curvy pathways, and a wide diversity of tree species. In those times, families would travel outside of city limits to spend time paying respect to the deceased. In other words, cemeteries were intentionally designed to be meditative spaces. Below are four great examples of spooky yet charming Victorian-era cemeteries worth visiting. Samuel Langhorne Clemens, better known as Mark Twain, is buried at Woodlawn Cemetery in Elmira, New York. Twain's wife, Olivia Langdon, grew up in the town. Their family's estate, Quarry Farm, was a place Twain and the Langdons frequented each summer. 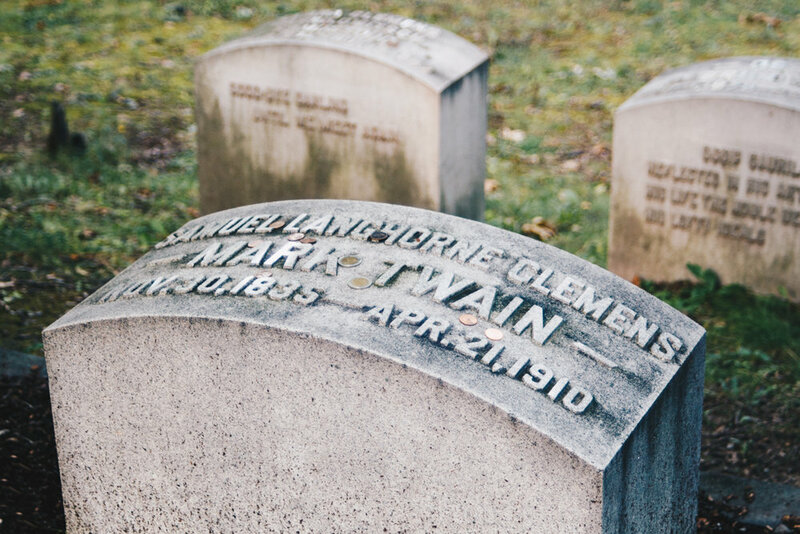 When Twain died in 1910, he was moved from his home in Redding, Connecticut and laid to rest in the Langdon family plot in Woodlawn Cemetery with his wife and two of his children. Within Woodlawn Cemetery, you'll also want to stop to see Woodlawn National Cemetery, a graveyard where many confederate prisoners were laid to rest during the Civil War. P. T. Barnum, a famous American showman of the late 1800's and founder of the Barnum & Bailey Circus, is buried in Mountain Grove Cemetery in Bridgeport, Connecticut. In 1849, four years after he was elected as the Mayor of Bridgeport, Barnum designed Mountain Grove. He was buried there when he passed in 1891. One interesting thing to note about Mountain Grove is that, across from Barnum's grave, you'll find the grave of Charles S. Stratton, also known by his stage name, General Tom Thumb. Stratton was a dwarf from Bridgeport whom Barnum befriended and managed as an actor in show business. Barnum donated the life-size statue for the monument after Stratton's passing in 1883. Green-Wood Cemetery, founded in 1838, is the highest point in Brooklyn and is a National Historic Landmark and on the National Register of Historic Places. 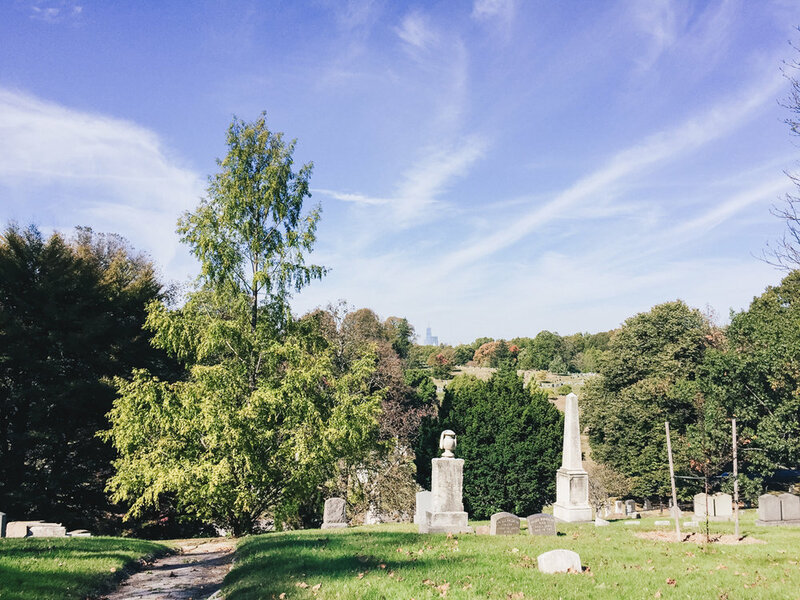 After walking along the crisscrossing network of pathways named after various flora and local landmarks, you'll begin understand why this graveyard is considered the inspiration for the creation of nearby Prospect Park and Central Park. Looking further back in history, Green-Wood was the site of a key battle at the start of the American Revolutionary War. It's worth the hike up to the path named Atlantic Ave. to check out the views of the Statue of Liberty and One World Trade. In 1912, when the RMS Titanic hit an iceberg and began to sink not far off the coast of Nova Scotia, rescue crews from Halifax were dispatched. Later, those crews would bring back over 100 passengers and crewmembers who had tragically perished in the disaster. They were given a proper burial in Halifax's Fairview Cemetery. The cemetery was founded in 1893 and is not exclusively for the victims of the Titanic, but the section dedicated to the deceased, with its row of low marble headstones, is striking. A third of the graves are reserved for those with no identification, the most famous of which is The Unknown Child.